Tackle reviews. – River Trent Angler. We all have to use equipment to enjoy our sport, I for one have tried to buy the best in the hope it will improve my skills, high quality gear has always given me pleasure in its use. I do a lot of float fishing and have a lot of rods I could review, but I’ll start with something that will be popular, Feeder Rods. There can never be just one ideal rod as I fish many different waters, from the river Trent, to small commercials. So this review will cover several rods. My latest rod is a Drennan Ultra-Lite 9′-10′ feeder rod. Designed for main lines around 4lb, but like many rods it’s underrated and I’m comfortable with 6lb mainline for my small river Chub and Barbel fishing. Understandably it’s perfect for those swims you cannot get a normal 12′ rod in, or would damage the tip, striking upwards into tree canopies. I’ve teamed mine with a 2500 Abu Revo top line reel, it’s so light to carry and use, that I can honestly say it’s a joy. I’ve just landed that good Chub mentioned in the last post and it dealt with it with ease. It comes with two complete tops, on a fully fitted 3/4lb t/c quiver tip and the other is a 1lb t/c. It will make a cracking winter Roach rod both river and still-water. The second rod is another Drennan, the Match-pro Medium Feeder at 12′. If I only fished medium size rivers for Chub and Barbel this would be my one rod. 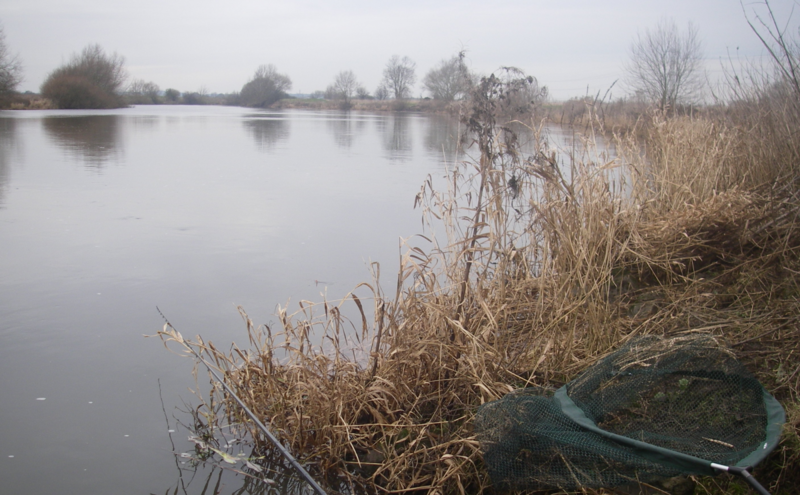 My own view is most people use rods far too heavy for Barbel, when an Avon style rod would land the biggest of fish, provided the line and reel are fit for the purpose. This rod has the normal slip in feeder quivers that attach to a shortened second part of the two section rod. The quivers start at 2oz through to 3oz. The rod curve is very Avon in style and not tippy at all, unlike its bigger brother. I find 6lb line ideal right through on this rod, but would happily use 8lb if fishing near snags. The final rod is the one mentioned above, the Drennan Super-Feeder 12′. This is my big Trent feeder rod and is much more tippy than the smaller sister the Medium. It will cast 3oz feeders across the Trent or lob slightly bigger ones. Personally I don’t ever go heavier than 3oz on the Trent, as I find using a thinner main line allows the use of smaller leads. If you use 12/15/20 line on any rod, then want to hold the middle Trent in a normal flow you will need 4/5/6 oz of lead depending the place you fish, it’s that simple! Then you will need a rod capable of casting that weight, it’s a vicious circle. This rod is ideal, perfect for the specialist angler fishing for big Chub or Barbel. The 3oz tip is made for the Trent and it will pick put both Roach bites if set up correctly, and the nibbling Chub bites we seem to get a lot these days. I could use this rod on a little river if it was in flood. If I only fished the Trent or Wye this would be my one rod, again I love this rod and it’s tippy action. Alan Scotthorne does a nice Trent review of this very rod, worth a look if your looking at buying one. You-Tube Alan Scotthorne fishing the Trent. Apart from the little new Ultra-light, I have used and abused these rods and they look as good as new. It seems Drennan don’t make a bad rod in truth, and they have been around a long time. Their rods are always well priced, but not crazy, worth the money I’d say? I have the ultra Drennan feeder and the plus 14ft float rod. The float rod is the best I’ve owned to date. Caught many roach and good sized chub with it. However I don’t rate (my opinion) the Drennan feeder rod. I just can’t get used to it. I prefer and am currently catching all my chub with both the Drennan 10ft red range carp feeder, and my Daiwa Ninja 11ft feeder. Both are super rods and can take a hell of a lot of stick. The Acolyte 14′ float rod is my go to float rod. I’ve taken some big chub to over six and barbel to eleven. I also have the little 11′ ultra lite that is ideal for small rivers and crucian carp fishing in the margins. Yep, you’re right. I’ve still got a trusty pair of Drennan Big Feeders, which I had improved by having Fuji reel seats fitted by the local tackle shop, and a Medium Feeder for smaller rivers. Latest purchase though is an 11 foot Ultralite float rod – again perfect for smaller rivers, especially trotting for grayling as it’s light enough to hold all day. Cheers, Ian. The big feeder is an ideal rod for the Trent as long as you’re not fishing crazy heavy lines. 6/8 lb line and feeders to 30z make a perfect partner.